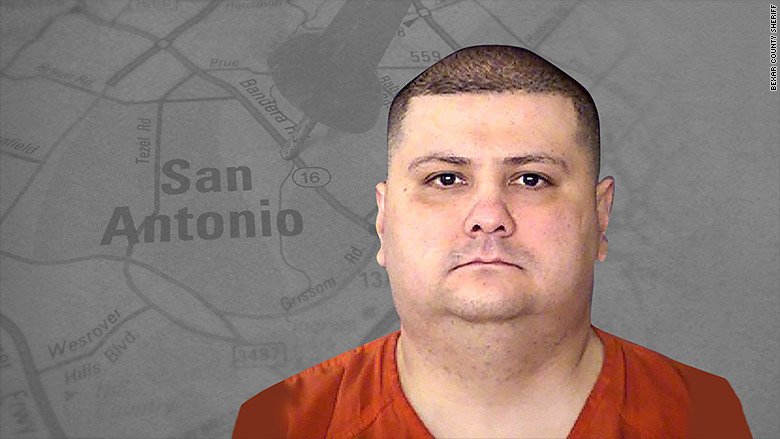 Gilbert Flores was shot by San Antonio police and the incident was videotaped. Texas television station KSAT is coming under withering criticism from a sheriff's office for uploading an amateur video of a police-involved shooting. "Broadcasting a man's death for $100 has sparked threats to our deputies' lives," the Bexar County Sheriff's Office said in a tweet that urged people to call the TV station and complain. At the same time, some viewers are thanking the San Antonio station for its action and wondering why the video wasn't published sooner. The video shows Gilbert Flores being shot and killed by police officers who responded to a domestic disturbance call coming from his home last Friday. According to the authorities, Flores resisted arrest and nonlethal techniques were used before guns were drawn. KSAT, a CNN affiliate, said it received the video from a witness, Michael Thomas, who recorded it from a distance. The station's managers initially decided not to show the moment of the shooting. But that changed on Monday after the sheriff's office and the district attorney's office said they were aware of the video and confirmed Flores's identity. "Now that there is an ongoing investigation by both agencies, and following additional discussions within our newsroom, KSAT 12 News has decided to make the entire video available online," the station said. "Providing the video on KSAT.com allows for viewers to make their own decision on whether to click on a link to see the video. Other than editing for language, the video is the entirety of what we received from Michael Thomas." The video is more than four minutes long. Flores is shot at the 58-second mark. He appears to have his hands in the air when the shots are fired. The sheriff's office quickly condemned the station's decision. "Today, members of our local media chose to broadcast online unedited video of a man's death," the office wrote in a Facebook post Monday night. "KSAT 12 paid a neighbor who filmed the tragedy $100 for the exclusive rights to the video. As a result, people from outside our community have bombarded us with inappropriate comments, and today, physical threats toward our deputies." Calling the station's act "unethical and sad," the Facebook post provided a telephone number for KSAT and said people should "let the local media know this sort of sensational behavior doesn't fly in Bexar County." KSAT later posted a statement about its decision to air the video and its agreement to pay Thomas for the video. The station said Thomas, who KSAT described as a student at the University of the Incarnate Word, contacted the station through Twitter to say he had a tape of the shooting. "Before sharing the video with us, Thomas asked for payment. While most viewers share video with us at no charge, we agreed to pay Thomas a $100 licensing fee for the video. It is not uncommon for news organizations to pay for video from freelancers or citizen journalists," KSAT said. On the station's Facebook account, a debate about the station's action is raging, with some people calling the uploading of the video shameful and expressing concern about officers' safety. Posting the video "without knowing the full details of the entire story is simply for the purpose of shock and to gain viewers," wrote one commenters. "Instead, I hope this action backfires and your station loses ratings because of this sickening act." Others praised the station. "This is what true journalism looks like" and "I salute you for reporting the news in its entirety," others commented. There were hundreds of comments on the sheriff's office's Facebook page, too. The most-favorited comment said that the sheriff's office had promised transparency, so "how does he make a call to arms against the media and ask the public to call and complain for providing information?" The person running the office's Facebook account responded, "Would you want your loved ones to see your death? What about the investigation being jeopardized by a video that doesn't share the whole story? It's about doing the right thing. This is only one piece of evidence." According to officials, there is a second video of the shooting that is in the hands of investigators but it has not been made public.